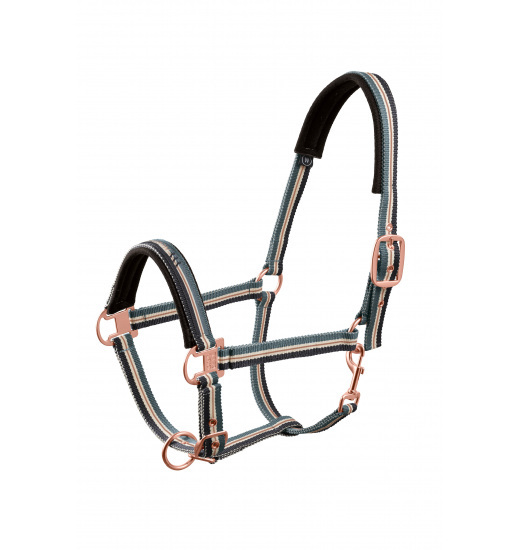 Classic headcollar made of tri-color nylon tape. It is softly lined on the noseband and occiput, which prevents chafing. This elegant and diligently trimmed headcollar has fashionable "rose gold" fitting. It can be adjusted in two points. 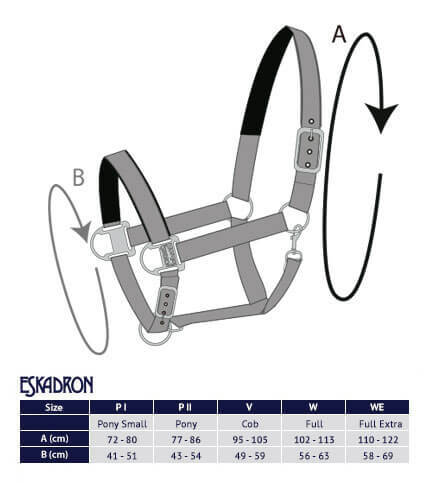 It is decorated with an Eskadron inscription on the noseband.